A Final Four staple, the best in the ACC, the slighted number two seed, and of course a team headed back to their home state to play for a National Title. After four games between Saturday and Sunday, four games that left us speechless, the Final four is set and it couldn't be more exciting. 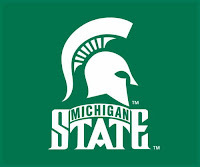 From the Midwest Region, the Michigan State Spartans (5). Back to the Final Four, a familiar place for Michigan State head coach Tom Izzo. Since 1999 the Spartans have reached the Final Four six times, and this might be their most impressive. 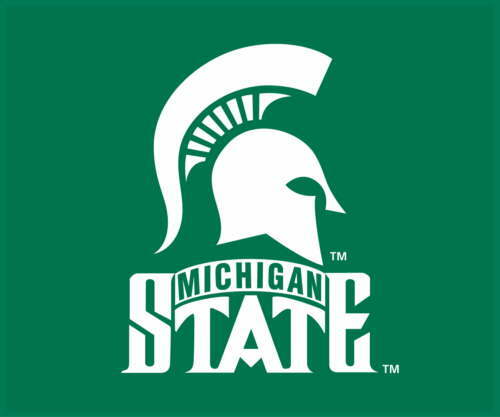 Coming out of the Midwest Region, a region which included Kansas, Ohio State, Georgetown, Maryland, Tennessee, Oklahoma State and tournament darling Northern Iowa, yet at the end of the day only Izzo and the Spartans remain standing. What else is left to say about Tom Izzo? Losing a starting point guard with plenty of time left against Maryland, State shrugs off the Terrapins, Northern Iowa, and Tennessee without missing a beat. It wasn't easy for the Spartans, winning each game of the tournament by an average of just 3.25 points, the Spartans were tested. Yet with moments remaining in their 70-69 victory over a Volunteer team that had become used to knocking off teams just as good as Michigan State, the Spartans watched Raymar Morgan bury a go-ahead free throw and punch their ticket to Indy. Say what you will about the Big 10 Conference, but it's about time we stop overlooking Tom Izzo and the Michigan State Spartans, at least in March that is. 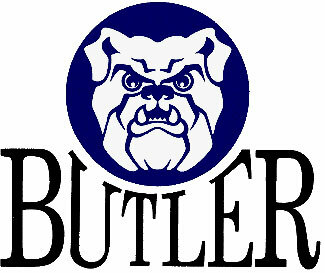 From the West Region, the Butler Bulldogs (5). This will be the last season you call Butler a mid-major. With the Butler Bulldogs reaching the Final Four, going through both Syracuse and Kansas State to get there this weekend, they can no longer be considered a Cinderella. 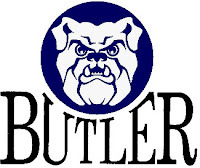 Winning 24 straight games, with their last loss being on December 22nd, Butler is a serious contender to cut down the nets in Indianapolis and stun the basketball nation. Led by sophomore guard Gordon Hayward, Butler dispatched of an exhausted Kansas State team and did it in tough fashion. Each of the past two games, against both 'Cuse and K-State, Butler watched a late lead slip away only to come roaring back and take a victory away from top seeded teams. The Horizon League champs aren't a team who just got hot and played it out over the two week stretch of the Big Dance, they've been preparing for this all season long. Scheduling non-conference games with fellow tournament teams Georgetown, Clemson, Minnesota, oh and fellow Sweet 16 teams, Ohio State and Xavier, both of whom they defeated in the regular season. This 32-win team is no Cinderella, they're a quality team who has quality wins to go with it, and it just so happens this this year they broke through, joining Xavier and Gonzaga as tournament heavy-weights from Non-Big Time conferences. From the East Region, the West Virginia Mountaineers (2). Bob Huggins and West Virginia left no doubt about it, they should have been a top seed in this tournament, and proved it on Saturday night. The 7-point victory which featured one of the poorest shooting performances, just 16-29, for the Kentucky Wildcats, punched the Mountaineers ticket. With near-consensus top pick John Wall on the floor, it was West Virginia's Da'Sean Butler who stole the show. The 6'7" senior scored 18 points including 4 three-pointers in 40 minutes pulling down 6 rebounds in the process. Four starters in double figures, the Mountaineers are one of the most balanced teams in the country. Guard Joe Mazzulla had another great game pouring in 17 points. For all that has been said about teams from The Big East not showing up in this tournament and much was valid, West Virginia did in a big way. Winners of the Big East Conference Tournament who now find themselves preparing to play for a hopeful National Title, West Virginia is perhaps the best team remaining. For Bob Huggins who hasn't been on this stage in over 15 years, this is his second program to lead to this point and it puts him in rare air. Can West Virginia win it all and bring a title back to Morgantown, simple answer, Yes. 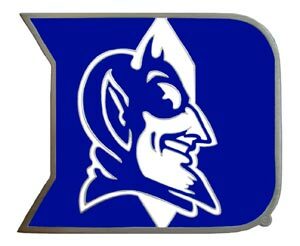 From the South Region, the Duke Blue Devils (1). The Blue Devils shouldn't have any doubters remaining after dropping a hyped up athletic Baylor team. On the backs of Nolan Smith and Jon Scheyer who shot 9 for 16 from behind the arc to combine for 49 points, the Blue Devils advance to the Final Four. Listening to the all the hype surrounding fellow number one seeds, Kentucky, Kansas, and Syracuse, the Blue Devils are the only top seed remaining and deservedly so. As we said before, Scheyer is still one of the more underrated players in college basketball, he displays everything Duke is and the reason they are in the Final Four. With five rebounds and four assists, the Blue Devils senior guard again did all the little things and kept the Blue Devils alive throughout this tournament. With Coach K, what else can be said? He's got the Blue Devils back in it and playing for a national title. As down on the ACC as everyone was this year, Duke knocked off Cal from the PAC 10, Purdue from the Big 10, and finally Baylor from the Big 12. No one is down on the Blue Devils going forward, no one.